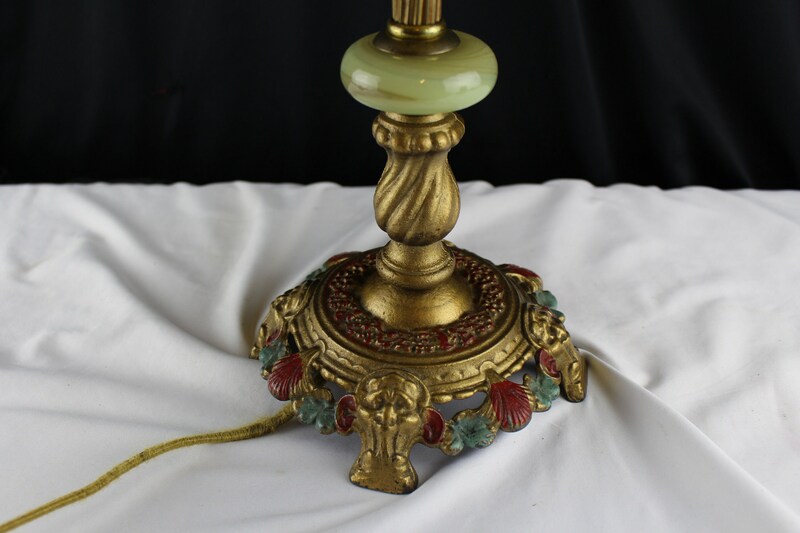 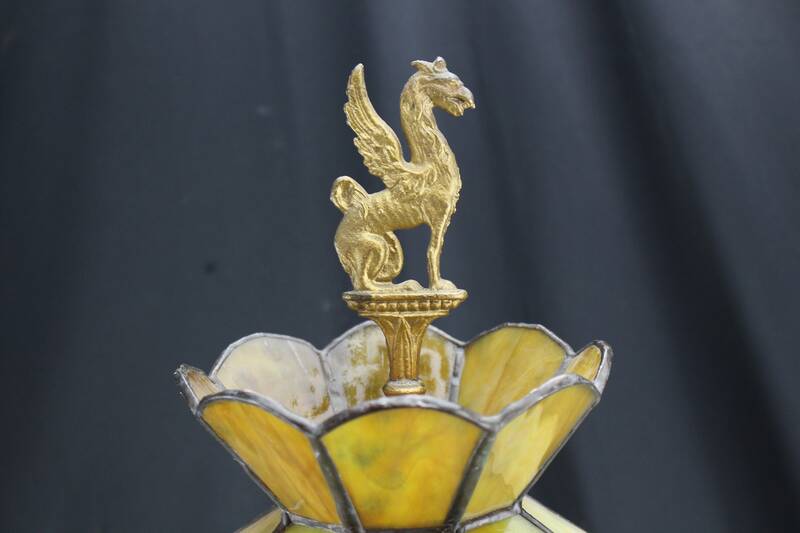 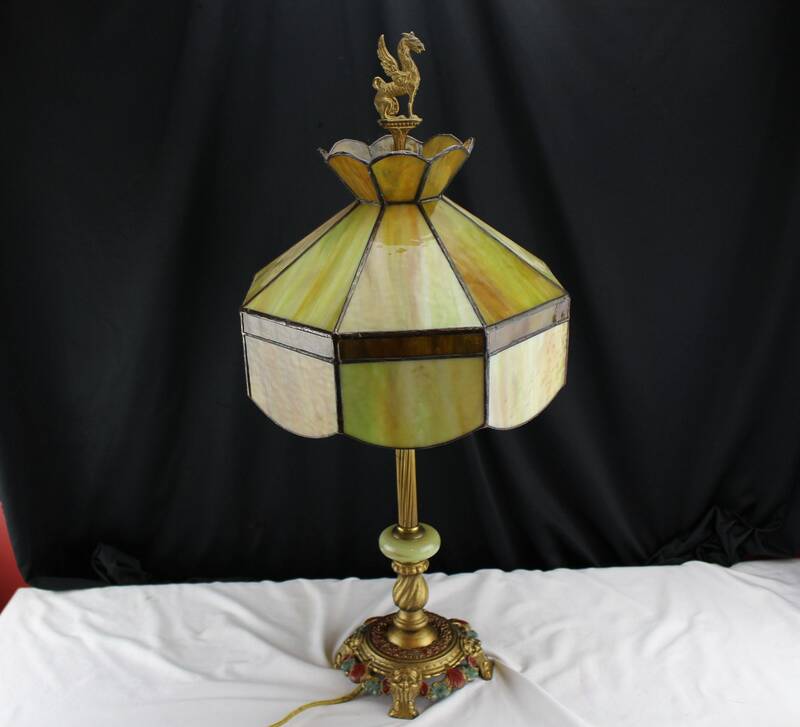 Wow what a outrageous lamp I have here its wonderful art deco design with a cast metal and green onyx colored glass bead on the pole with painted green and red base and griffin finial. 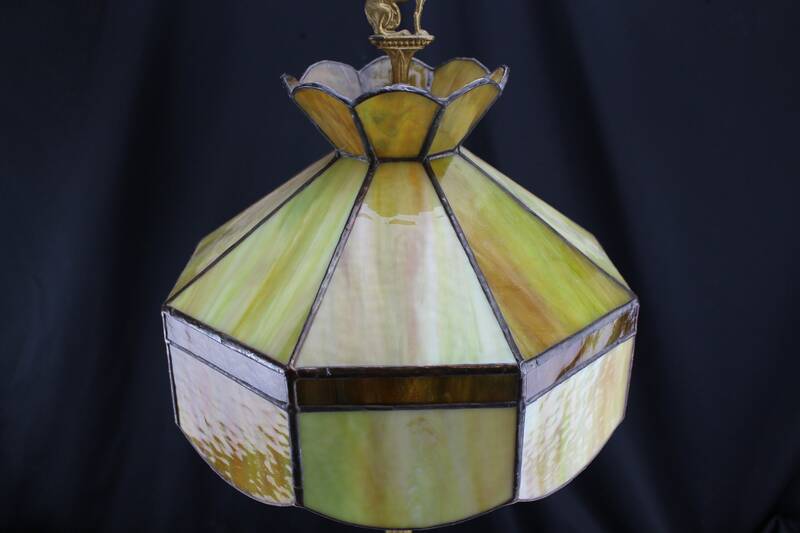 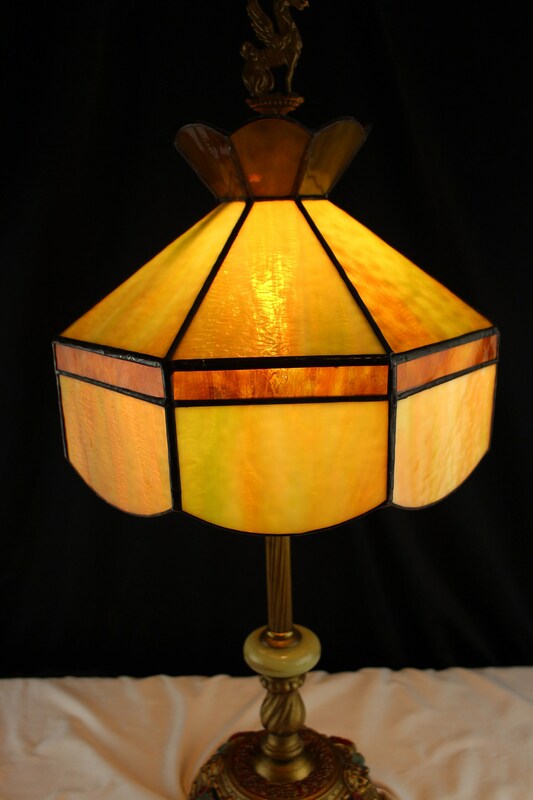 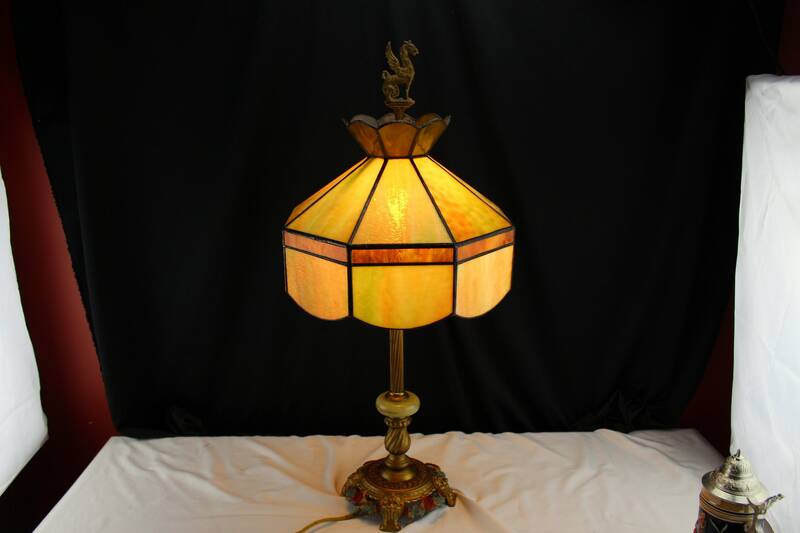 Then it is topped off with a Stanford stained glass lamp shade with some of the exact colors as the green bead on the lamp the shade has a plate inside with the brand on it. 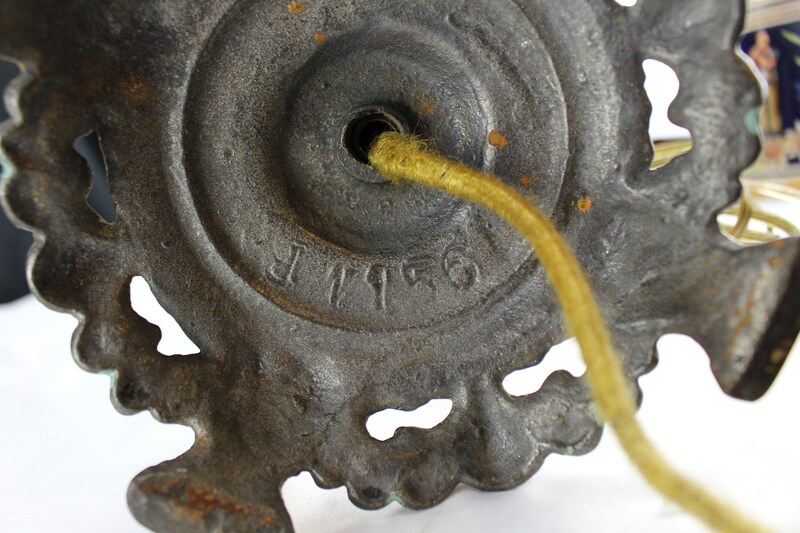 Seems to be a original type cord probably replace at least once it has tears in the outer cloth cover but wire are good lamp works just fine. 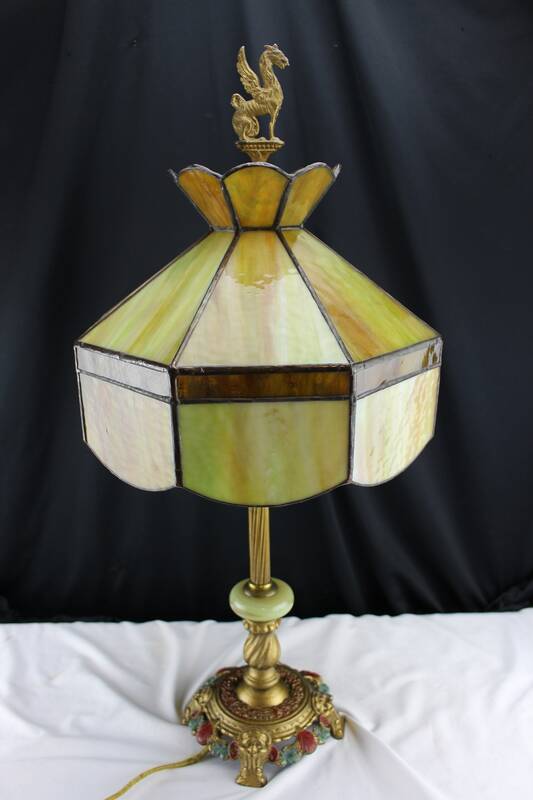 I really love the look of this lamp a must for the right home with period correct decor. 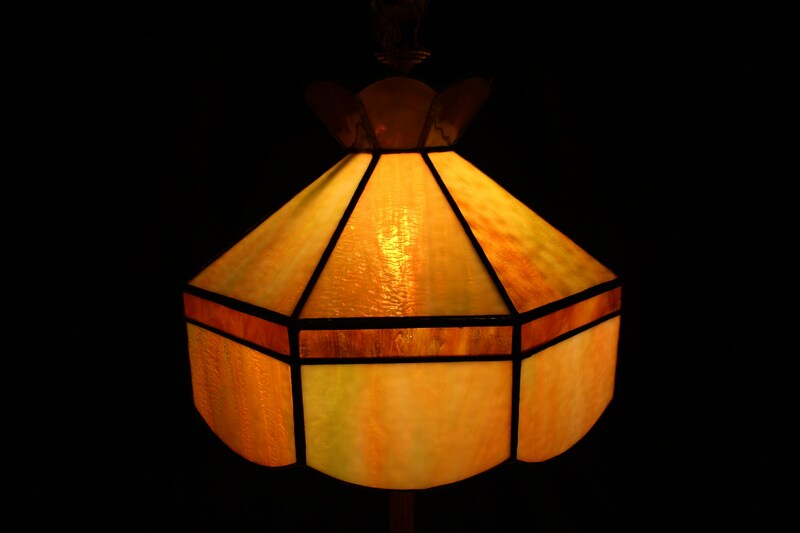 24" tall 11" wide shade and 6 1/2" at the base no damage I dont see any cracked glass. 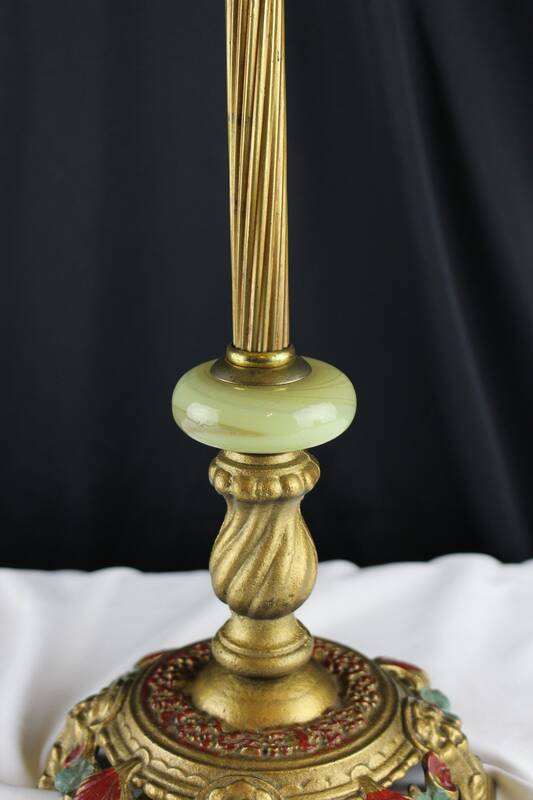 Free priority shipping big savings when you get to checkout!